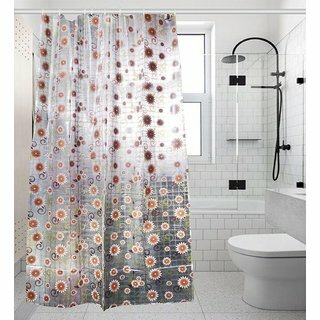 Khushi Creation PVC Floral Shower Curtain - Multi. Decorate your bathroom with this stylish and unique shower curtain. Contains Plastic hooks to put it around the rod. 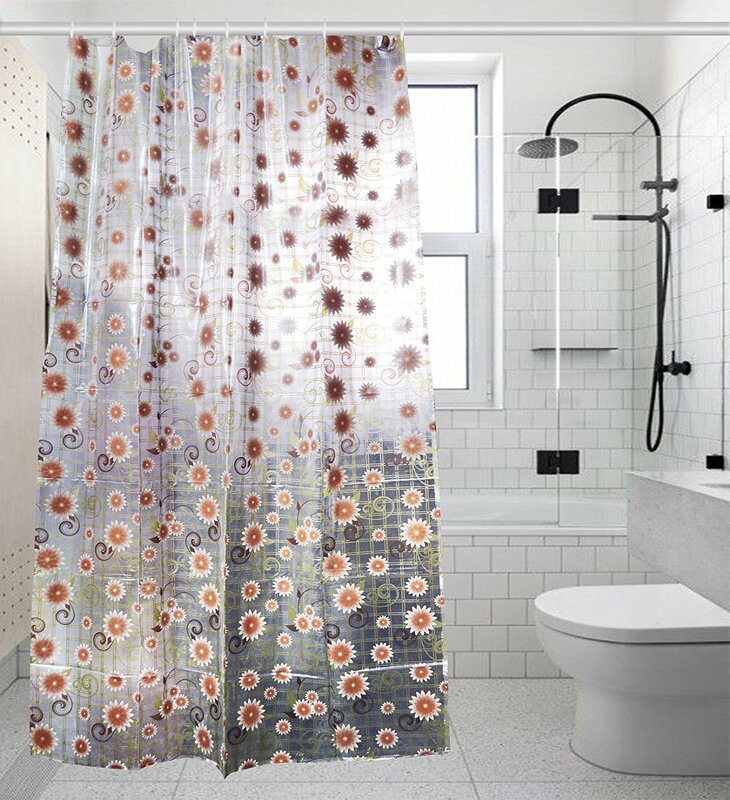 A beautiful way to separate your bathroom space from your water closet area comes in the form of this shower curtain. The PVC fabric makes it waterproof and easy to maintain. These are Hand Painted Shower Curtain which gives a perfect & stylish look to your Bathroom and also makes you fresh and cool while taking shower or Brushing your Teeth. Its (LXB)- 7Ft X4.5Ft.